Snow covered, not so thick to lose discs.. 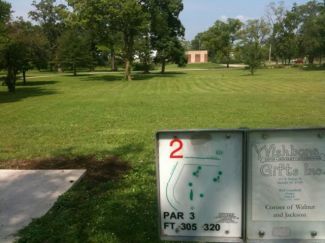 Description: This challenging course is easily accessible and conveniently located on Muncie’s East side. With a great combination of long holes and short challenging holes, open fields and wooded areas, this course will appeal to all players. The concrete tee pads are positioned for easy flow of play and holes 1, 9, 10, and 18 all begin and end at the same position for your convenience. Turn right at Park Rd.